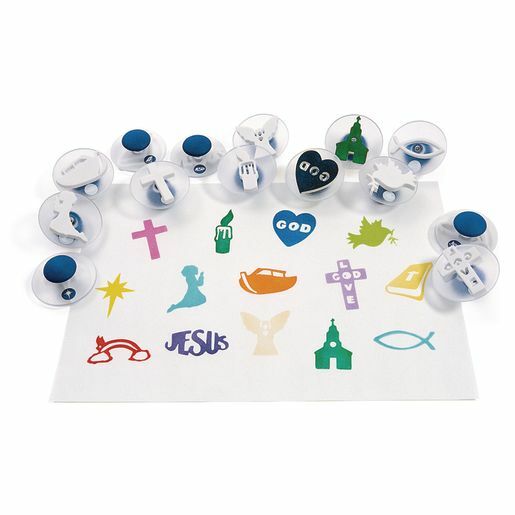 Easy grip handles, a durable foam design and a see through base make these stampers perfect for young ones. Great with stamp pads or paints, this set can be used for a multitude of projects. Set of 14 Stampers comes in a strong plastic storage/carrying case. Each stamper measures 3" in diameter.